John writes on behalf of NeoMam Studios. A digital nomad specializing in leadership, digital media, and pets, his passions include world cinema and biscuits. A native Englishman, he is always on the move, but can most commonly be spotted in the UK, Norway, and the Balkans. How to Drink More Water for Body and Soul? Ah, water – clear, pure water, with a tricking sound like music. Home to the fish, salvation to the thirsty, relief to the sunburned vacationer. But who does actually give this life-giving substance the attention it deserves? Not most of us. Get tired and don’t know why? Water is ‘basic.’ It’s not something that crosses the mind much at all. Yet, that doesn’t prevent water from giving. Water gives life, health, serenity. As long as you drink enough of it. Two-three litres a day for a woman and up to four for a man should do the job. Any less, and you may be compromising your health and well-being. 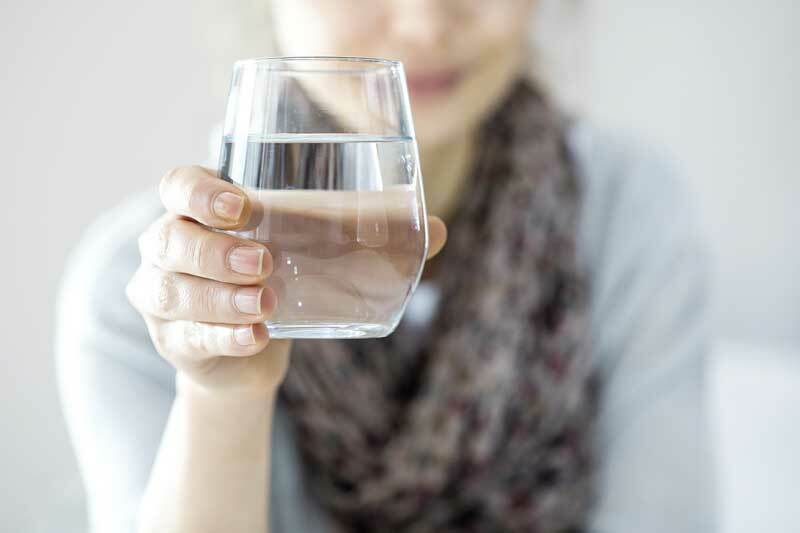 If you don’t have a habit of counting how much water you drink, there are immediate symptoms you can look out for that you’re not getting enough. Headaches, dizziness, and dry-eye are all common complaints that seem to have no cause. Could be dehydration. A salt craving, cramps, or dark circles under the eye are some of the odder signs that you need to drink more water. Let’s just take a look at what water can do for you. It lubricates your joints, because cartilage is four-fifths water. This helps you keep moving and reduces pain. Water also lubricates your mouth, nose, and eyes. Without it, you can’t eat or breathe. And when your eyes get dry, guess what: you feel tired and you don’t know why. Water is also essential to your brain and nervous system. It helps you think straight. It keeps you calm. It cushions blows from the outside world, as a shock absorber for your brain and spinal cord. And 90% of your blood is water. Blood is good, right? Low water intake can lead to high blood pressure. That in turn can cause a stroke or dangerous clotting. So we’ve agreed, water can make you feel better and actually be better. But it’s still kind of a chore to remember to drink it. That’s why it can be useful to work out some ways of changing your habits to drink more. Actually, it’s not too tough to change your schedule. Making the decision to do so is a good start. But you may need alarms and reminders to keep you on track until drinking water regularly becomes your second nature. 1) Drinking a glass when you get out of bed is the best start. You know it’s the first thing you need to do, and also it will dehydrate you after a long night. After that, make the effort to drink a glass of water every hour, on the hour. Or at least fetch yourself a fresh glass of water to sip for the next hour. That way, every time the clock strikes, if you still have water in your glass then you need to drink it up so you can catch a refill! 2) One sip of water per email! If alarms and hourly alerts are too square for you, try attaching your water habits to other things you do regularly instead. Take a sip with every email you send, or – if you spend much of your day reading – fetch a new glass of water for every chapter you read. 3) Coffee and tea as a bonus! If it’s the taste of water that fails to excite you, there are ways around this. Despite the myth that coffee dehydrates you, it actually counts as water intake up to a point. As long as you’re not drinking unhealthy levels of caffeine, tea and coffee hydrate you. But it can be best to think of these as bonuses to your cold water intake. 4)That cold water can be improved by infusing it with fruit or ginger. Put berries or citrus fruits in your water bottle (or buy an infuser) and don’t think about it as drinking water at all; think of it as your fruity liquid treat. Mmmm! Okay, so it’s tough to get excited about water. But water’s basic nature means it’s quite simple to slide it into your lifestyle. Check out this infographic with tips to drink more water, and you’ll soon realize that upping your intake is one of the simplest ways to feel better and be healthier inside and out. What are your habits for drinking more water? Let us know in the comment section!